It looks like real stone because it IS real stone! 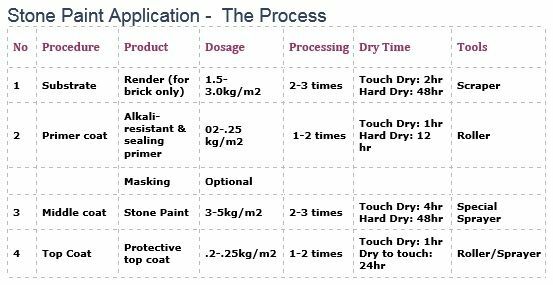 Each component of the Spray-on Stone™ system has a different coverage, as shown in the chart below. The ratio of Stone Paint to either Primer or Top Coat is 13:1. That is, for every 1 container of either Primer or Top Coat used (to cover 80 sqm), allow for up to 13 containers of Stone Paint. 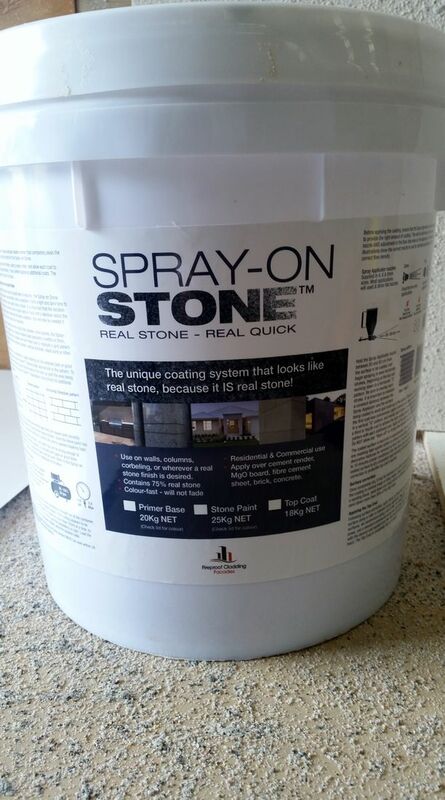 The Spray-on Stone™ process is made up of three (or, optionally, four) parts - priming the surface; optionally masking the prepared surface to create various finish effects; application of the Spray-on Stone paint; and application of the Topcoat sealer.